If I ever start referring to these as the best years of my life - remind me to kill myself. Somewhere in Austin, Texas. May, 1976. In between tokes and jokes, the students of Lee High School are celebrating the last day of school. Whether you’re a stoner or a jock, mean girl or geek, freshman or senior, the end of another school year is, as ever, the great equalizer. For some that final bell signals a summer of fun and freedom; for others, graduation and an uncertain future. For the incoming crop of freshmen, though, that bell means a face full of condiments or a painful date with a paddle. Ouch. 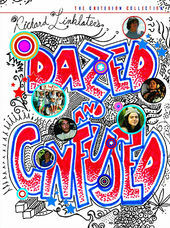 This is our introduction to director Richard Linklater’s semi-autobiographical Dazed and Confused, an opening montage complete with era-appropriate typeface Eight Ball, the rumble of Aerosmith’s eternally catchy “Sweet Emotion,” and oh-so-much grass being smoked. According to Linklater, the initial idea for the title sequence – a slow motion shot of Pontiac GTO set to Aerosmith – popped into his head while he was getting a root canal, fittingly under the influence of drugs. Featuring an ensemble of baby-faced young actors destined for stardom, including Matthew McConaughey, Milla Jovovich, Ben Affleck, Parker Posey, and Renée Zellweger, Dazed and Confused is American Graffiti for Gen X, a greatest hits of high school, as Linklater described it. It’s a funny, oft-times awkward portrait suburban life for the white American teenager in the mid-1970s, one that promises to stay the same no matter how old we get.